The 1987 Mecca incident was a clash between Shia pilgrim demonstrators and the Saudi Arabian security forces, during the Hajj pilgrimage; it occurred in Mecca on 31 July 1987 and led to the deaths of over 400 people. The event has been variously described as a "riot" or a "massacre". It arose from escalating tensions between Shia Iran and Sunni Saudi Arabia. Since 1981, Iranian pilgrims had held an annual demonstration against Israel and the United States, but in 1987, a cordon of Saudi police and National Guards had sealed part of the planned demonstration route, leading to a confrontation between them and the pilgrims. This escalated into a violent clash, followed by a deadly stampede. There is a controversy regarding the details of the incident, with both Iran and Saudi Arabia laying much of the blame on the other side. Some sources claim the death toll from the incident was 402 people: 275 Iranian pilgrims, 85 Saudi police, and 42 pilgrims from other nationalities. Other sources claim that more than 400 pilgrims had died, and thousands more injured. 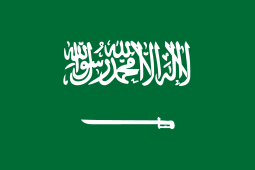 There is a long history of tensions between Saudi Arabia and Iran. Muhammad ibn Abd al-Wahhab had initiated the destruction of various religious burial sites in Hejaz, and King Abdul Aziz Ibn Saud continued with this initiative, destroying parts of the Shiite-revered burial site of Al-Baqi' in 1925. This caused outrage in Iran, with the Iranian government calling for the ousting of ibn Saud, and banning Iranians from performing the pilgrimage in 1927. In 1943, an Iranian pilgrim was beheaded based on Saudi charges that he brought excrement inside the Great Mosque on his garment. Iran lodged a formal protest, and suspended pilgrimage until 1948. 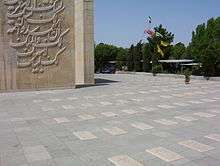 ↑ "BBCPersian.com". bbc.co.uk. Retrieved 10 October 2015. ↑ "Religious Radicalism and Politics in the Middle East". google.com. Retrieved 10 October 2015. ↑ "Saudis Report Broad Support for Mecca Policy : Envoy Says Heads of 40 Nations Hail Tough Stand Against Iranian Rioters". latimes. Retrieved 10 October 2015. ↑ Kramer, Martin Seth (2011). "The Three-Year Boycott". Arab Awakening and Islamic Revival: The Politics of Ideas in the Middle East. Transaction Publishers. p. 176. ISBN 1412817390. ↑ Kramer, Martin Seth (2011). "An Understanding Renewed?". Arab Awakening and Islamic Revival: The Politics of Ideas in the Middle East. Transaction Publishers. p. 178. ISBN 1412817390.